Nintendo’s sold more than 14 million Wii consoles in the U.S and dominated the monthly U.S. sales charts for months, but leading into Thursday’s Nintendo media day in San Francisco, the palpable buzz was centered not so much on what Nintendo has in the market now (nor what Nintendo had to announce today) but instead on what the company might reveal in the next few years. The trigger for the rumor mill’s rapid heart rate was a report published September 30th on parent-centric game site “What They Play.” The article, written by game journalist John Davison, cited leads from multiple tipsters claiming that Nintendo is “currently showing early presentations of its next home console hardware.” Dubbed “Wii HD,” the prototype is reportedly a true “next generation” device with high resolution graphics and significant onboard storage that will allow “greater emphasis on digitally distributed” content. The speculation is the console will launch by 2011. Nintendo doesn’t comment on rumors, and Davison himself acknowledges there’s no way of validating the accuracy of the tips. Still, The prospect of a Wii with graphics and image processing power comparable to the Xbox 360 or PS3 is a conversation starter. Adding to it and further fueling these forward gazing discussions, Davison’s report also notes that since 2003, Nintendo’s RD has more than tripled. In 2003, the company spent just $34 million. In 2005, the year of the Wii’s launch, spending was up to $103m. By 2007, R&D expense crested over $370m. This sheer scale of new expense, Davidson argues, is likely a sign of a major new project – possibly the next Wii, possible a new DS or perhaps both. As far as rumors go, Wii HD has people talking. Sadly, it could be at least a year, or even two, before anything more concrete is disclosed from Nintendo directly. 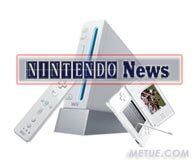 In the here and now, news trumped by the rumor included the introduction of a new DS, the DSi, and a solution to the Wii’s limited storage problem. In an environment where more and more content and game enhancements require local storage, for things like song update packs for music games or dynamic gaming, the Wii with its lack of hard drive and minuscule 512mb of onboard memory, has been at a disadvantage. Nintendo will address the problem through the console’s existing SD Card slot. Beginning by the spring , games will be able to be downloaded (and presumably run) directly from the card. While it’s not an auxiliary hard drive, at up to 2GB per card, it is, nonetheless, a substantial improvement. Revealed at a Japanese press conference, Nintendo will launch a new, a minor evolutionary upgrade to their popular DS portable on November 1st. The new model, housed in a slightly thinner case, adds a larger screen and a 3 Mega Pixel camera. It also drops the Game Boy Advance (GBA) slot in favor of an SD memory card. The device won’t debut in the U.S. until later in 2009. Other Nintendo news… Nintendo’s Wii Music product will launch October 20th. Their Wii Speak peripheral will be available November 16th.